for the establishment of AdDharam and collecting the historical data of Maharishi Balmik Ji, Satguru Namdev Ji, Satguru Ravidass Ji and Satguru Kabir Ji, he came to meet Baba Pipal Dass Ji collecting literature on teachings and writings of Satguru Ravidass Ji Maharaj. The word spoken by a Sadhu is always truthful. Whatever Sant Pipal Dass Ji uttered proved to by true. Once Sant Pipal Dass Ji visited the house of Baba Shami Ram Ji. He took pity on their poor financial condition. He told him that they get out the required grain from the kothi and it will remain full. He also asked them not to check up that the kothi is still full or not. They took out grain from the kothi for 13 months to see whether it is still full. To their amazement the kothi was still full of grain. But thereafter the kothi became empty as the grain was taken out from it. Sant Pipal Dass Ji visited Arjanwal village to the house of Shri Waryama Ram. His wife requested Sant Ji that she had no child and her mother-in-law always taunted her and threatened her to compel her to leave the house. Baba Pipal Dass solaced her and told her that she would be blessed with five sons and truly, five sons were born to her including Giani Joginder Singh Ji. One day when Sant Pipal Dass was going to the village Bal to have some offerings from residents. He was in his own spiritual mood. He stopped in front of the house of Namberdar Piara Singh for alms. Smt. Mohan Kaur w/o Namberdar Piara Singh offered the offering to Sant Ji and politely requested that you were pride of the lowly, shelter for the poor and hope for the hopeless. There was no dearth of anything in my house but I have no child kindly bless me with this gift. Sant Pipal Dass Ji was moved by the request of Mohan Kaur and told her that in due course of time Almighty would bless her with five sons and advised her and her husband to worship NAM daily. Baba Ji came back to Dera. Truly after gap of some years five sons and a daughter were born to her and all the children were very nice having good manners. The entire family always praised all the saints of Dera Sach Khand Ballan. Shri Wattan Singh and Bibi Kesari Devi were living in Muradpur village andafter some time shifted to Alawalpur in Jalandhar district. Whenever Baba Pipal Dass Ji visited their residence, he always asked them to prepare saltish chapaties. When once Baba Ji went to their Muradpur house both Bibi Kesari and Wattan Singh humbly requested Baba Ji that they had no child and politely submitted that he should bless the couple with the gift of a son. At this Baba Ji asked the couple to solve five sweet patasas in water and then knead the flour with that water and prepare the food. They did so and prepared the sweet food for Sant Pipal Dass Ji which he took gladly and thereafter told the couple that Almighty will bless them with the gift of four children. Truly four sons were born to the couple. And doing such kind and munificent acts to the needy and poor, the great saint Baba Pipal Dass Ji left for his heavenly abode on Thursday, first Navrata, in 1928, to be one with the Almighty. The poet Tota Ram had rightly writtenJeewan ke udharne ko paapian de taarne ko Moorakh sudharne ko aaye sansar si Bachan raseele tap tej de hatheele Vishe paanch jin keele shiv shankar murar si Unni sau pachasi bikrami si maheena assu Chhabbi din gaye chhad ditti gulzar si Veerwar din pherr time vi swer wala Poorva nachhattara mein pujje mokh dwar si. Baba Pipal Dass Ji was cremated towards east of village Ballan where the Smadh Angitha was erected. In the Dera Sach Khand Ballan, a room having minaret on its top is dedicated to the memory of the great spiritually enlightened saint. He left very rich legacy to his saintly son Sarwan Dass Ji who later established the Dera. The Dera is symbolic of spiritual highness and noble values. His Barsi is celebrated on first Naurtatra by holding Bhandara, satsang and hoisting of Dera Nishaan Sahib. 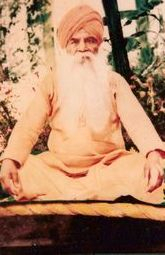 Sant Sarwan Dass Ji was born on 15th February 1895 in the family of Baba Pipal Dass Ji and Mata Sobha wanti Ji at Gill Patti Bhatinda. After the joti jot smaye of Baba Pipal Dass Ji, Sant Sarwan Dass Ji took over the Dera. He held the sangat in high esteem. He himself was a highly disciplined saint. Since the days of Baba Pipal Dass Ji, he used to come out of the village to a distant quiet place and meditated there for longer hours. He attained divine enlightenment. He had padam (flower type of symbol) in his right foot. It signified his predetermined divinity. He built a Kutia of mud and sarkanda on one kanal land donated by one Shri Hazara Singh of village Bal. At this place an elegant mandir stands erected . He moulded his life to three norms SEWA-SATSANG-SIMRAN. He became famous and an example for others for noble values. He treated patients with free Ayurvedic medicines and divine blessings. Also he used to teach children. He strongly preached education among children in including girls. He liberally donated funds for schools, technical schools, colleges. There was one raised platform in front of the kutia on which Maharaj Ji always meditated and held satsang. In course of time, Sant Hari Dass Ji joined the Dera. Later Sant Garib Dass Ji and Sant Niranjan Dass Ji dedicated themselves to the Dera and joined Sant Sarwan Dass Ji. They all joined for Sewa of the Sangat under the guidance of Sant Sarwan Dass Ji. The writer has been fortunate enough to be close to Sant Sarwan Dass. He spent his night at his place at in village Bal. He always got up at 3.00 am. After bath he would sit in Samadhi. At the dawn of the day, he would go out for a long walk. Then he would come to Dera and give ayurvedic medicines to the patients, redressed individual problems of the devotees. Discussion on divinity were held with the saints and scholars. As soon on he was free from these engagements, he would start satsang. Then he would ask one or the other saint or any devotee from those present to recite amrit bani. This continued up to lunch. After lunch all devotees were requested to go to their homes. Maharaj Ji took rest for some time. He would again start religious discourses in the after-noon. A little after sun set, Maharaj Ji daily went to spend his night at village place. There again used to be satsang. Many devotees from the Village Bal used to attend night satsang. After ardas at about 10 pm, Maharaj Ji would allow them to go to their homes. This was the daily routine. Many devotees and saints used to recite sacred bani exhorting us to worship God and to do noble deeds. Many sang soul touching songs in melodious tunes conveying the message of Bhakti. There used to be calm and serene atmosphere. Indeed, Sant Sarwan Dass Ji became successful in creating a cult among the devotees to do good, to learn, to work hard, to spread love and affection, to make life meaningful, to do noble deeds, to be pious, to be an ideal and worthy person and above all to always remember God. He vehemently preached against rituals and superstitions. Following the foot prints of Guru Ravidass Ji, he laid stress on equality, fraternity, dignity, brotherhood. He was very practical. He asked his followers to discard traditional customs and beliefs which are inimical to the growth of human beings. Sant Sarwan Dass Ji was highly distressed when he ever heard of oppression of theweak. He shouldered the cause of the poor and the down-trodden and dedicated his life to the welfare of humanity. He wanted their unity and that inspired them to struggle for regaining their human rights and dignity. In those says there were stray incidents of opression and insulting the poor on the pretext of the religion, religions books, religious place, bani, Bhagat, Guru and the like. He was a great visionary saint. As if he had a premonition of future course of incidents, he held the opinion that Ravidassias should have their own supreme place of worship- the Ultimate Place of Pilgrimage. He shared his views with other leading contemporary saints, scholars, intelligentsia, dignitaries. All supported his opinion. But they extended moral support only. The onus to build a temple on the birth place of Guru Ravidass Ji fell on Sant Sarwan Dass Ji alone. He traced the birth place of Satguru Ravidass Ji at Seer Govardhanpur, Varanasi. The construction of 7- storey grand temple was completed during his life-time itself. His dream was fulfilled. Shri Guru Ravidass Janam Asthan Mandir, Seer Govardhanpur, Varanasi is the supreme gift he has given to the humanity. 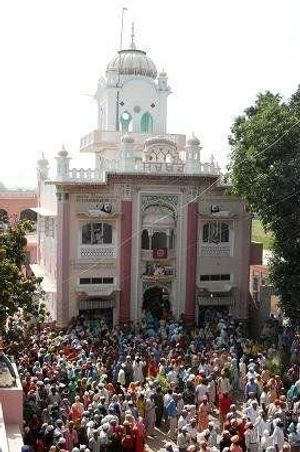 Today pilgrims from the world over visit this holy temple and seek blessings of Satguru Ravidass Maharaj Ji. Sant Sarwan Dass Ji fell ill. In the last satsang he held on 11th June 1972, he asked to recite Juggan de jug beet jaange Tainu milni na manas dehi Juggan de jug beet jaange. After the satsang he was taken to American Hospital at Ludhiana where he left for his heavenly abode on 11th June 1972 at about 12 p.m. Huge number of followers from far and near attended his cremation on 13-6-1972 in the premesis of the Dera. His body was placed in pyre. It was lit by Sant Hari Dass Ji and Sant Garib Dass Ji. After a short while when the flames engulfed the pyre, a sudden three four feet high gush of stream of blood flowed from his body out of the pyre. It was an unprecedented phenomenon. Probably, he conveyed a message for us all for sacrifice for the poor people. Shri 108 Sant Hari Dass Ji Ravidass bhanai jo jaanai so jaan(u) Sant anant(i) antar nahi Satguru Ravidass Ji says that there is no difference between an saint and the God. The saints enlighten human beings through worship of God. They get them rid of rituals and superstitions. Sant Hari Dass Ji was peace-loving, social reformer, visionary and divinely enlightened saint. He was born in 1885 in the family of revered father Hukam Chand Ji and mother Taabi Ji at village Garha near Jalandhar. His parents were religious minded. He was still a child when his parents expired. He took up occupation of shoe-making and painting. Since beginning he had leaning of hearing kirtan, singining kirtan and the company of Holy persons. He became free from worldly responsibilities after the marriage of his sister Bibi Punna Devi at village Chaheru. He cherished to find an enlightened guru. 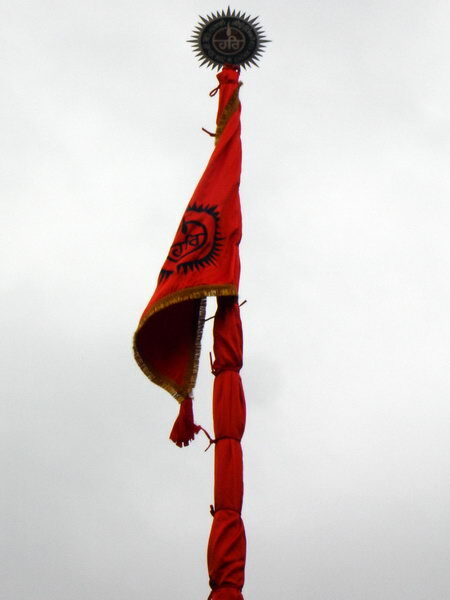 Param paras gur bhetiay purab likhit lilat. He heard fame of Baba Pipal Dass Ji. He visited village Bal. In those days Satguru Pipal Dass Ji was staying in a small kutia. One day when Sant Hari Dass Ji visited Dera, Baba Pipal Dass Ji was not there. Sewadars told him that Baba Pipal Dass Ji had gone to village Haripur. Sant Hari Dass Ji followed and reached Haripur. At that time Baba Pipal Dass Ji was speaking in a satsang. When he looked at Baba Pipal Dass Ji he felt blissful. He felt that he had found an enlightened guru. Sant Hari Dass Ji prayed for naam-daan. Sant Pipal Dass ji told that he would come to his village a day after and that he would be initiated. Baba Pipal Dass Ji visited village Garha a day after and blessed Hari Dass Ji with naam-daan. For most of the time Sant Hari Dass Ji remained absorbed in meditation. He used to visit Dera frequently and stayed there for days together. He also developed affection and regard for Sant Sarwan Dass Ji. Baba Pipal Dass Ji left for his heavenlyabode on 26 Assu Thursday Bikrami Samvat 1985. Sant Hari Dass Ji was very sad. Baba Pipal Dass Ji had told Sant Sarwan Dass Ji that he had blessed Hari Dass Ji with the Naam Daan and that BHEKH be also blessed later. He would also come to Dera permanently. He also prophesied that Hari Dass Ji will be an enlightened saint and that he will enlighten many others. After some time he organised a Sant Sammelan at village GARHA which was attended by Sant Sarwan Dass Ji, Muslim Faqir Sayyad Ghulam Jalani and many other saints participated. Sant Sarwan Dass Ji exhorted the human beings to chant Name of God to enlighten our souls to avoil pains of Birth and Death. Faqir Sayyad Ghulam Gilani said in his speech that Sant Sarwan Dass has the Noor of Allah on his face. 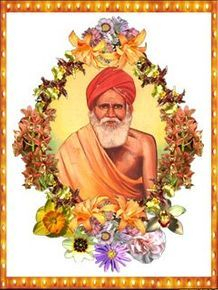 Sant Sarwan Dass Ji blessed BHAGWA DRESS to Sant Hari Dass Ji. Since then Sant Hari Dass Ji freed himself from worldly entanglements and belongings. He learnt Gurmukhi from Sant Sarwan Dass Ji. He studied amritbani. Sant Hari Dass Ji was fond of planting trees in the Dera. The mango trees planted and watered by him increase beauty of the Dera even today. He used to teach the children in the Pathshala in the Dera. He often used to say that if ‘Mata shatroo pita vairi jo na balo pathita’. The parents who do not impart education to their children are their enemies. Sant Hari Dass Ji was plaim speaking. He spoke the language the children understood. He loved children very much. Sant Hari Dass Ji preached satsangat, Bhajan Simran, ekta, smaanta, Bhaichara. On the direction of Sant Sarwan Dass Ji, he laid foundation stone of Shri Guru Ravidass Janam Asthan Mandir, Seer Govardhanpur, Benaras on 14 June 1965. This is a 7-storey temple today. Devotees from all corners of India and abroad throng to this sacred place. Sant Hari Dass Ji stayed at Benaras for some days after laying the foundation stone. Imli tree under which Guru Ravidass Ji used to hold satsang was dry. Sant Hari Dass Ji watered this sacred tree so long as he remained there. The imli tree has grown up to a big green tree. Pilgrims bow before this imli tree also. 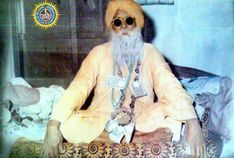 After Joti Jot samai of Sant Sarwan Dass Ji on 11 June 1972 Sant Hari Dass Ji became third Gaddi Nasheen of the Dera. He started construction of temple in the sweet memory of Sant Sarwan Dass Ji on 10th August 1972. It was completed in short span of period. It was inaugurated on 11th June 1974. Idol of Sant Sarwan Dass Ji was installed in the temple on that day. He used to say that if Sant Sarwan Dass Ji had survived for 10 more years, he would also have become a saint. He built a 5-storey temple in a sweet memory of Sant Sarwan Dass Ji at Dera Bal. Satsang Hall was also constructed in the Dera. He always preached for naam-simran and abstaining from intoxicants. He used to read out to the sangat Sangat kariye saadh ki bandion kare khuda Loha kanchan hot hai dekho paras laa. Dekho paras laa su mat kar mano haasaa Sabh ban chandan hot hai jahan bawan ka vaasaa. Keh(i) girdhar kavi gai nadi sansei ki tariye Wadde bhaag jab hoi Santan di sangat kariye. Sant Hari Dass Ji often said that this world is musafirkhana and mithya. Jinde meriay ni tera koi nahi, aiwen koor havelian mallian ni () chhad dena ih des ih maapian da phir aan na dekhengi galiyan ni () charkha tand na pavna mile tainu, jadon kant ne chithian ghalliyan ni () Tuun vi ronwdi jaawengi aiss shehron jiwen agliyan rondian challian ni () Shri Gurnam Chand Judge had 3 daughters. Sant Sarwan Dass Ji blessed. He got 2 sons also. He visited Dera in 1973. His 3 daughters and one son Bobby went to the nearby flowing canal. In the course of washing hands in the running water in the canal, his son Bobby fell into the canal and drowned. After hearing this news Smt. Gurbachan Kaur fell unconscious. Sant Hari Dass Ji went to the canal with the devotees to find out the boy. After search for one hour, the boy was seen floating at a distance of 1km. in the canal. The boy was dead. The body was brought to the temple and placed before the idol of Sant Sarwan Dass Ji. The parents of the boy prayed to Sant Hari Dass Ji to have mercy. Sant Hari Dass Ji humbly prayed to Sant Sarwan Dass Ji to help and infuse breath in the boy. The boy was then sent to Dr. Shingara Singh at Jalandhar. The doctor examined the boy. The doctor told the boy that the boy was alright. The entire episode was told to the doctor. The doctor told them that it was the mercy and blessings of the saints that the boy is alive even though he drowned and floated in the canal for one hour. In the meantime, the boy came to senses. The doctor asked the boy as to what had happened. The boy told that sant khoondi de naal mainu bechaunde si, tun ithe ki karan aya si. In response to the prayer of Sant Hari Dass Ji, Sant Sarwan Dass Ji saved the boy. Sant Hari Dass Ji left for his heavenly abode on 6th February, 1982 at 11.00 am. His Barsi is celebrated on 6th February each year with all devotion. Sant Garib Dass Ji became fourth GaddiNasheen of the Dera. He inherited a rich legacy of spirituality as well as social service to humanity from his predecessor saints of the Dera. He was born in the family of revered father Nanak Chand Ji and revered mother Har Kaur Ji at village JALBHEY near Adampur in district Jalandhar in 1925. Sant Niranjan Dass Ji was appointed as his assistant. He continued the activities of the Dera, started by Sant Sarwan Dass Ji, with greater fervour and devotion. He was a qualified vaid. He treated patients. Even those patients who were suffering from serious diseases were cured. He talked very little and always served the sangat. He used to say that speaking too much is not necessary in SEWA and SIMRAN. 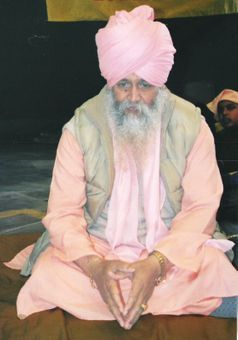 He first visited England in 1985 along with Sant Rama Nand Ji. The foundation stone of famous Guru Ravidass temple at Birmingham (U.K) was laid by him. It was also inaugurated by him. Foundation stone of many other Guru Ghars in India and abroad were laid by him. He blessed large number of foreign devotees with naam daan. He involved younger generation with Guru Ravidass Mission. He visited U.K. six times, America thrice and Canada once only. His greatest contribution to human welfare was setting up of Sant Sarwan Dass Charitable Hospital, at Koopur-Dhaypur (Kathar) in district Jalandhar dedicated to the memory of his Guru Sant Sarwan Dass Ji. Throughout his life he served patients. By establishing the hospital on 22nd October, 1982, he ensured care of the poor patients even after his death. Starting ‘Begumpura Shehar’ weekly was equally a great step in the direction of spreading Guru Ravidass Mission to the masses. He laid foundation stone of Sant Sarwan Dass Memorial Teaching Block at Guru Ravidass ITI College, Phagwara. He built a model Sarai for stay of the pilgrims in the Dera. A grand ‘Sant Sarwan Dass Memorial Gate’ was built jointly by Sangat of village BAL and the Dera by him on Jalandhar-Pathankot Road, Bal. He got it inaugurated from Sant Ishar Dass Ji, Gopal Nagar, Jalandhar, on 11th June 1994. 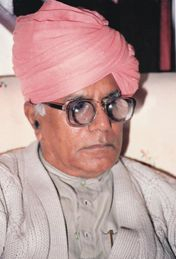 On 11th June 1994 (the Barsi Smagam day of Sant Sarwan Dass Ji) he told the sangat that a big smagam will be held at Shri Guru Ravidass Janam Asthan Mandir, Varanasi in the end of June 1994, and that all should accompany him. This journey was undertaken by rail from 16th June to 23rd June 1994 in which many of his followers from foreign countries also participated. It was very hot and humid in Varanasi. When the sangat asked Maharaj Ji why he chose such a weather to undertake this pilgrimage, he replied that “I wanted to show you conditions under which we worked to construct this temple.” A hugely attended Dharmik Smagam was held on this occasion. Those people who were part of this trip will never forget this pilgrimage. Only one month after returning from Varanasi, he fell ill. He was admitted in a Jalandhar Hospital. He left for his heavenly abode on 23rd July 1994 at 2.55 PM. His body was kept for “Antim Darshan” in Sant Hari Dass Satsang Hall from 23rd to 25th July 1994 when he was cremated. Thousands of people bade him tearful farewell. Sant Niranjan Dass Ji became gaddinasheen of the Dera on 25-7-1994. He is a visionary, a thinker, steadfast in his convictions, divinely emancipated, perfect in simplicity, suave, accessible and truly a saint of the common man. His heart beats and soul vibrates with the sangat. He is dynamic in approach. He embodies the rich legacy of Baba Pipal Dass Ji, Swami Sarwan Dass Ji, Sant Hari Dass Ji, Sant Garib Dass Ji and his former Wazir Qaum de Amar Shaheed Sant Rama Nand Ji. Whosoever bows at his feet with purity of mind, he feels himself exalted. He was born in the family of revered father Sadhu Ram Ji and mother Rukmani Ji on 6th January 1942 at Ramdasspur (near Alawalpur) in district Jalandhar. His parents were devotees of Baba Pipal Dass Ji and Swami Sarwan DassJi. They often visited this Dera and attended satsang. Child Niranjan Dass also used to come with his parents to the Dera. Swami Sarwan Dass Ji was very happy to talk with child Niranjan Dass. Sant Niranjan Dass Ji started staying with Sant Sarwan Dass Ji at the age of 8 years. Sant Sarwan Dass Ji once asked Shri Sadhu Ram the name of this boy. He told that his name is Niranjan Dass but he is very lazy in doing work. Sant Sarwan Dass Ji said that he has named him as HAWAII GIR. This boy is not lazy but he will be even faster then wind. Shri Sadu Ram thanked Satguru Ji. Since then when Maharaj Ji called Hawaii Gir, he would come running at once. Years gone by. Hawaii Gir had grown young. He had become more responsible now. He was very prompt in doing work. He was looking after the arrangements in the Dera himself. Sant Niranjan Dass Ji has visited UK. USA, Canada, Spain, Holland, Italy, France, Germany, Dubai, Greece and a host of other countries along with Sant Rama Nand Ji. He laid foundations stones of Guru Ghars in all these countries. As a Gaddi Nasheen, with the assistance of Sant Rama Nand Ji, he took keen interest in developmental work at the Dera, Sant Sarwan Dass Charitable Hospital, Kathar, Shri Guru Ravidass Janam Asthan Mandir, Varanasi, Begumpura Shehar weekly paper, Sant Sarwan Dass Model School Phagwara, Sant Sarwan Dass Charitable Eye Hospital, Guru Ravidass Satsang Bhawan, Guru Ravidass Mandir at Sirsgarh (Haryana), Guru Ravidass Mandir at Puna, Baba Pipal Dass Ji Sadhna Sthal,Gill Patti Bhatinda and other social activities. 31 Kalshes were installed at Guru Ravidass Janam Asthan Mandir, Varanasi. Four storey building was constructed for stay and additional land was purchased at Varanasi for the convenience of the pilgrims. Europeans devotees offered a Golden Palki for Kashi Mandir. Gold Plating of central dome of the Kashi temple was completed and inaugurated on 30th January, 2010, the auspicious occasion of 633th Jayanti of Guru Ravidass Ji. A special train is run from Jalandhar to Varanasi and back every year on Jyanti Purb for the convenience of the pilgrims since 2000. The Special Train Yatra is every body’s wish. It is very interesting journey. During all these years, Qaumi Shaheed Brahmleen Sant Rama Nand Ji played key role in running the affairs of the Dera and completion of the projects under the patronage of Sant Niranjan Dass Ji. Sant Surinder Dass Bawa Ji has also been a big help in managing routine day to day affairs. After the assassination of Amar Shaheed Sant Rama Nand Ji, Sant Surinder Dass Bawa Ji extended whole-hearted support with fervour to Sant Niranjan Dass Ji. Virtually he occupied the place in the hierarchy of the Dera which was earlier held by Sant Rama Nand Ji. It was the farsightedness and vision of Sant Niranjan Dass Ji that in the changed scenario he boldly supported announcement of Ravidassia religion by the Sant Samaj and installed ‘Amrit Bani Satguru Ravidass Maharaj Ji’ at supreme Ravidassia pilgrimage – Shri Guru Ravidass Janam Asthan Mandir, Seer Govardhanpur, Varanasi immediately. The declaration of newRavidassia religious has been received by the Ravidassia community, wherever they are, with open arms. This step has created instantly selfrespect, liberty and dignity in a Ravidassia. Now he is no longer dependent on others for puja path. His own fearless God whom the poor are so dear is all pervading and all powerful. He is as strong as rock in going ahead for Shri Guru Ravidass Mission. Entire Ravidassia community is with him. He valued the writers, orators, singers, and others who made significant contribution in field of Guru Ravidass Mission and Dr. Ambedkar Mission. He honoured more than 51 such distinguished persons with gold medals. All these movements were started for separate identity of Ravidassia Qaum. In foreign countries the Ravidssias have already got registered their community as Ravidassia and they have already got their Har(i) da nishan registered with the authorities concerned. There were massive protests and demonstrations in all countries of the world against the assassination of Sant Rama Nand Ji. Entire world now recognizes that there is Ravidassia Qaum. In this background there was introspection, contemplation and deliberations by the Ravidassia community all over the world. The result of all this exercise was that Ravidassia Religion and ‘Amritbani Satguru Ravidass Maharaj Ji’ as religious book were announced on 30th January, 2010 by the Sant Samaj in the presence of more than 10 lakhs of Ravidassia followers at Shri Guru Ravidass Janam Asthan Mandir, Seer Govardhanpur, Varanasi, on the auspicious occasion of 633rd Jyanti of Shri Guru Ravidass Ji. It was vociferously welcomed by all the followers present at the function. They shouted loud slogans “Jo bole so nirbhai, Satguru Ravidass Maharaj ki Jai”. Utmost happiness prevailed among Ravidassias in the world. ‘Amritbani Satguru Ravidass Maharaj Ji’ was installed immediately at Shri Guru Ravidass janam Asthan Mandir, Seer Govardhanpur, Varanasi. All people could have darshan of Guru Ravidass Ji in the full moon on that night. This phenomenon was never witnessed before. It is a good omen for announcement of Ravidassia Religion.